under the guiding of Salvatorian fathers and brothers. The Father Jordan Youth celebrated their anniversary in a totally different manner. 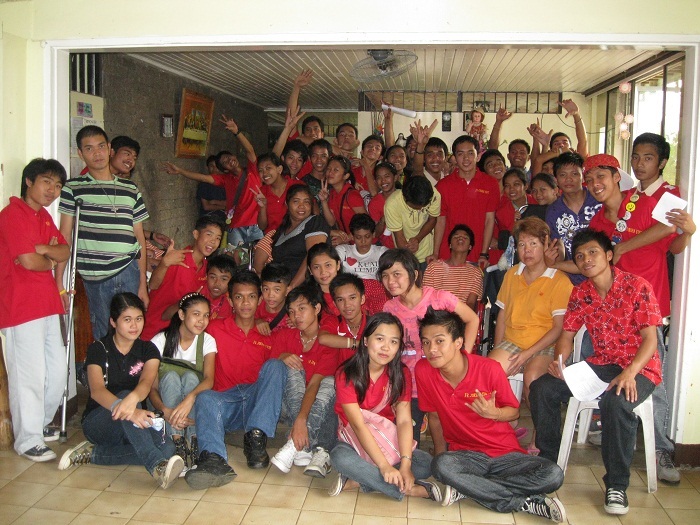 Instead of having a big celebration or party, the FJY together with the brother- facilitators conducted an outreach program. 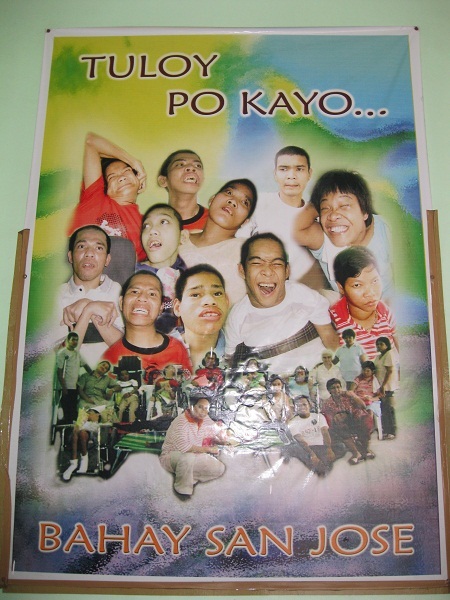 Bahay San Jose, an orphanage of a bandoned special people was the chosen place of the FJY to help. It was such a big opportunity for all the members to experience handling and taking care of such people with mental illnesses. 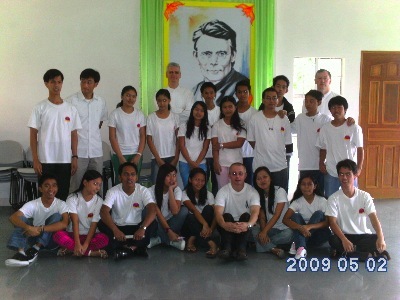 The new Filipino brothers had also the chance to join the said outreach. The whole day was spent with such satisfaction, many realizations and sort of a self- fulfillment. 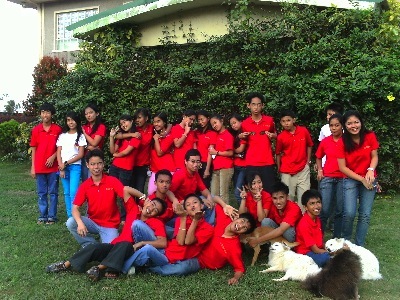 As many of the youth members would say; “it’s a one of a kind experience, ang astig ng anniversary natin ah! 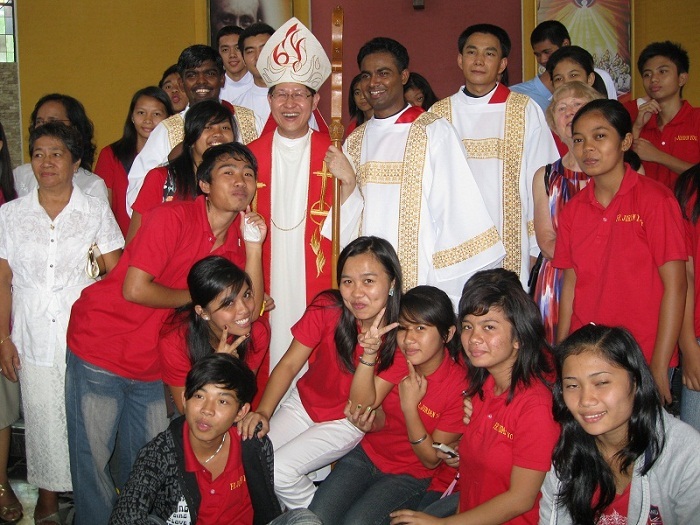 (our anniversary was so cool).” The said program is also part of the Father Jordan Youth as well as the Salvatorian brother’s Apostolate. 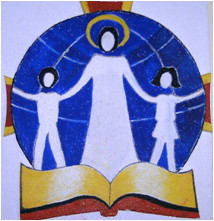 Today stains another grand and a memorable day for the Society of the Divine Savior as it celebrates the Blessed Deaconate ordination of the SDS Scholastics brothers, Dominic, Theeban and Damien (both from Sri Lanka) . It was another day of rejoicing for the community to witness the profession of faith of the said brothers being accepted as Deacons. Together with the other PIME brothers, they altogether step another milestone in their religious life. 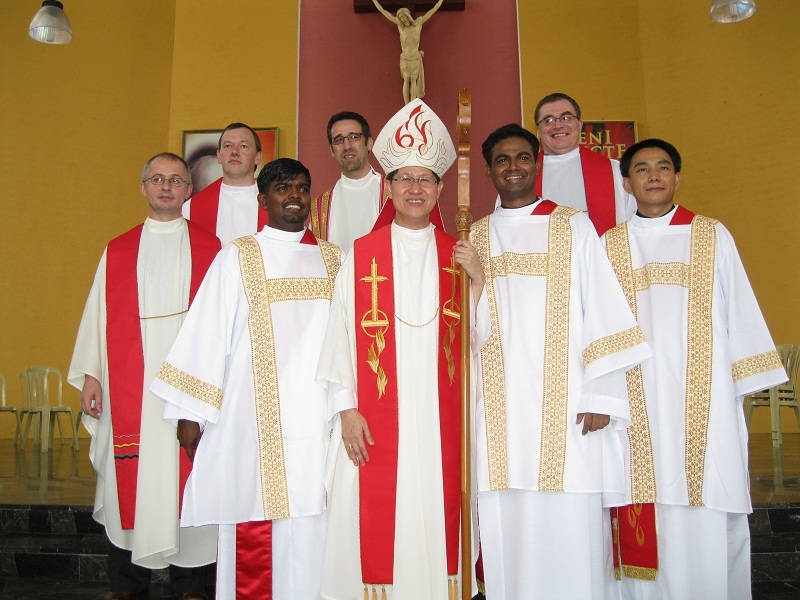 The two Congregations especially the Salvatorian community had a big preparation for the said event, not only because it was a special celebration, but also because it was an International Ordination, as the East, West, and other parts of Asia unites for a big special occasion. The ordination was made also more remarkable because of the Feast of St. Thomas t he Apostle which was also celebrated during the said occasion. The holy Eucharist was celebrated at the Holy Spirit Chapel at the Society of the Divine Word ( SVD ), presided by our most reverend Bishop, Luis Antonio Tagle. the FJY, together with some Filipino brothers prepared a simple program as an entertainment for the visitors and as a gift for the newly ordained Deacons. “In the beginning was the Word, and the Word was with God, and the Word was God” (Jn. 1; 1). Dear members of FJY, Salvatorian brothers and friends of FJY! 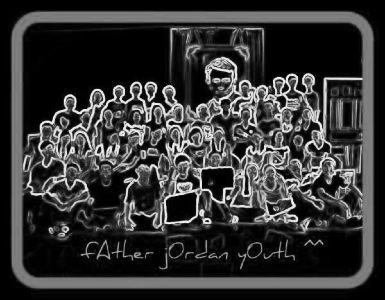 My sentiment for “Father Jordan Youth” can only expressed by the joy from my heart. I am lucky enough to witness how this group was formed and grew up and as far as I know this is the unique youth group in the world carries the name of Fr. Jordan, which expresses the goal of the group to seek, to realize and to follow the ideas of Fr. Jordan as an orientation in life. And it is so well, for Fr. Jordan was a man to whom the young people always have a special place in his heart. Dear FJYs all of what I want to say I have put it already in the introduction, what I put down here is just the piece of life I want to share with you. Since the time I have transferred from beautiful Manila city to the one more beautiful which called Tagaytay City. I am living in the small village called Talon. The people here I am not so much familiar with them, I feel a little bit shy with the people and of course with the consequence that it led me to become a passive person. But, there was the big change in my life since I transferred in Talon.